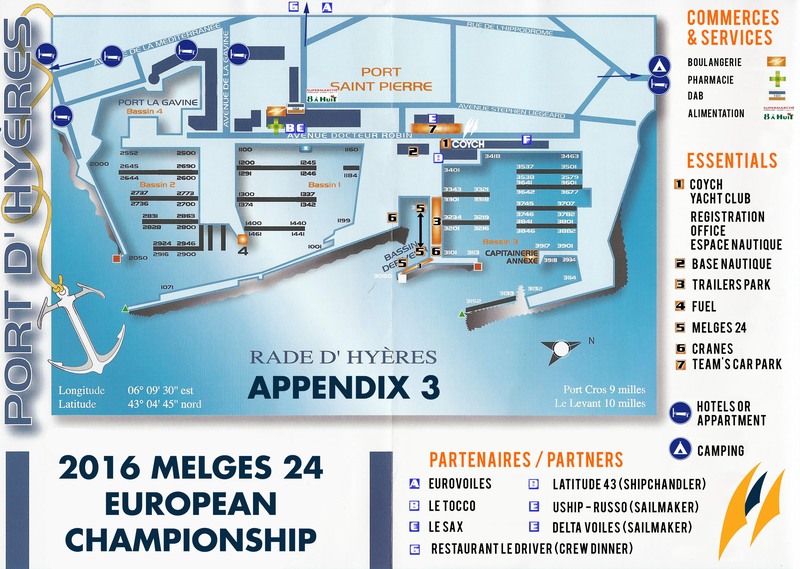 September 8, 2016 – Hyères, France – Even though the weather forecasts convinced all the crews that they would have raced in light breeze conditions today, in reality a strong West-SouthWest wind blew on the bay of Hyères with gusts up to 25 knots, providing the 2016 Marinepool Melges 24 European Championship with another day of great sailing. The crews have been facing very demanding situations and in some moments the pressure has been really high. Few boats had some problems and didn’t manage to complete the second race of today, eleventh in the series of the championship: one of them dismasted, another broke the rudder and a third broke a halyard, fortunately with no consequences on the safety of the crews. The greatest news of the day is, though, that there is a that, with seventeen-points’ margin ahead of the second in the ranking, Bombarda (ITA) by Andrea Pozzi – “Boat of the Day” thanks to a first and a second, has ensured the victory of the team, even earlier than twelfth and last race that will be sailed tomorrow. Rast, already reigning Melges 24 World champion, was enthusiastic for his crew including Patrick Zaugg, Nikolay Kornev, Matteo Ferraglia and Danielle Rast. “I’m happy that we had such a great team in this event, we’ve worked hard to get here all year long because this was one of our most important events here in Europe. This is a sort of dream to come true”. The fact that the Marinepool Melges 24 European Championship 2016 hosted by COYCH with the support of IM24CA has been a great event, especially for the weather conditions that the sailors encountered, is witnessed by the words of the new European Champion: “The Worlds that we raced in Middelfart, put us in front of much lighter wind conditions, I’m happy we were able to perform in this tougher conditions, too”. The regatta is still open for the second and third place on the podium, since three teams are divided just by one point: Bombarda, currently second with 53 points, the leader of the Corinthian division Gill Race Team, third with the same score and Marrakech Express, fourth with 54. Giulio Desiderato, tactician of Bombarda, said that tomorrow the crew will fight hard to be on the podium, hoping to race as well as today, when they scored a first and a second. He also declared that the crew has made improvements since the first day of this Championship and this is a very positive sign, in perspective to the Melges 24 Worlds that will be held in Miami in late November. In fifth position of the overall ranking and second in the Corinthian one, we find Tõnu Tõniste‘s Lenny (EST). The owner, when interviewed, declared that tomorrow we may expect to have different results from those of the last days, since the weather is supposed to change and a sharp decrease in the intensity of the breeze is forecasted. “We can still win the Corinthian European Champion title so tomorrow we can’t afford to go wrong, even if the fleet is of very high level and the sailing here has always been tough”, said Toniste, former 470 class Olympian medalist after the races of today. 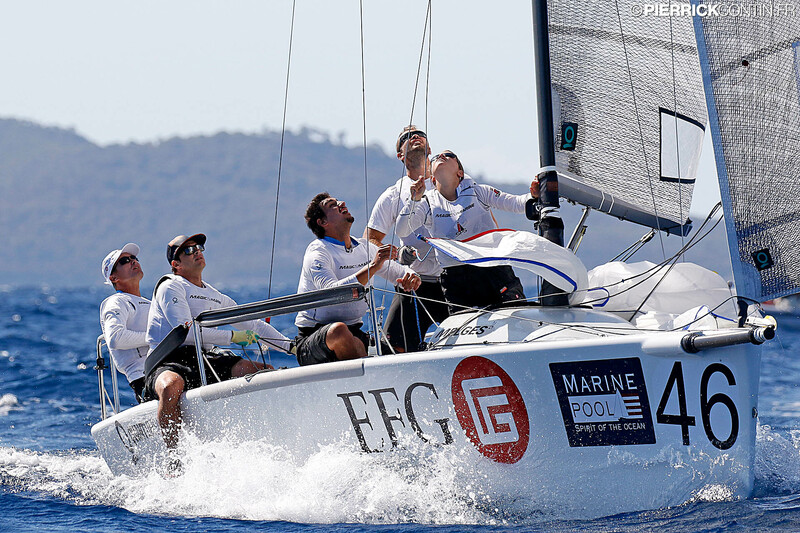 Tomorrow will, for sure, be a day of great emotions in Hyères: the winner of the Marinepool Melges 24 European Championship 2016 is already identified in the crew of EFG, but the rest of the overall podium still needs to be determined. The first five positions are occupied respectively by: EFG SUI684 (36), Bombarda ITA841 (53), Gill Race Team GBR694 (53), Marrakech Express ITA636 (54) and Lenny EST790 (62). The fight for the podium is instead completely open in the Corinthian fleet, where Gill Race Team GBR694 is first with 26 points, tackled by Lenny EST790 (27), Storm Capital Sail Racing NOR751(40), Taki 4 ITA778 (44), Team Kesbeke/Sika/Gill NED827 (71). Tomorrow, the preparatory signal for the last race will be given at 12 am and the prize giving is currently scheduled for 6.00 pm.